When you order a takeaway do you think about its origins? 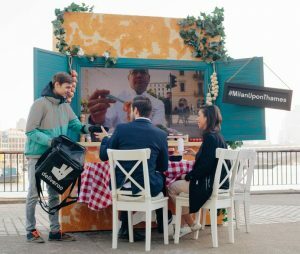 Deliveroo decided to put customers in touch with the essence of their favourite dish so we helped them bring Milan to the South Bank. 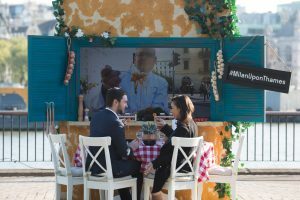 They asked “Ever had an Italian with an Italian?” We made it happen when we built the world’s first virtual dining experience #MilanUponThames. 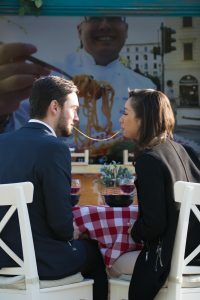 Together with Deliveroo our build connected foodies in London with friends old and new in Milan. 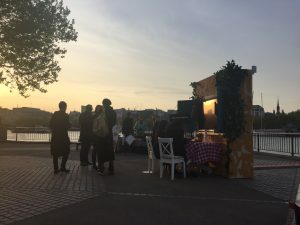 So, having pre built a tiny slice of Milan at our workshop, we transported it to Observation Point on London’s South Bank and set up an unusual date. 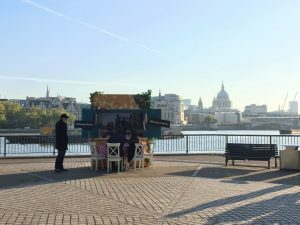 On a glorious sunny day the tiny restaurant waited for its first customers. In a muddy field, quite nearby….